We have built our team recognizing that every project is different—each presents a unique suite of wildlife and plant species, physical conditions, environmental and regulatory constraints, and goals. For each new restoration site, regardless of the type of project, we employ proven methods to address challenges. We ask the right questions, consult the appropriate agency staff effectively, and design projects that will flourish. We guide projects through the often complex regulatory agency approval process, and provide oversight of construction and long-term site management to ensure that sites meet their goals. All of our senior restoration ecologists have wide-ranging experience and bring an extraordinary level of skill to their specialties. Their expertise includes riparian restoration (Dan Stephens and Matt Quinn), restoration planning (Debra Bishop), tidal marsh and seasonal wetland restoration (Ron Duke and Max Busnardo), and harsh site restoration (Max Busnardo and Matt Quinn). We regularly work on diverse wetland and upland restoration projects. Our designs reflect the powerful synergy we have built by integrating the skills of our expert landscape architects and restoration, wildlife, fisheries, and plant ecologists. Working alongside our wildlife and plant ecologists, our restoration team is often focused on helping endangered species to survive and recover. 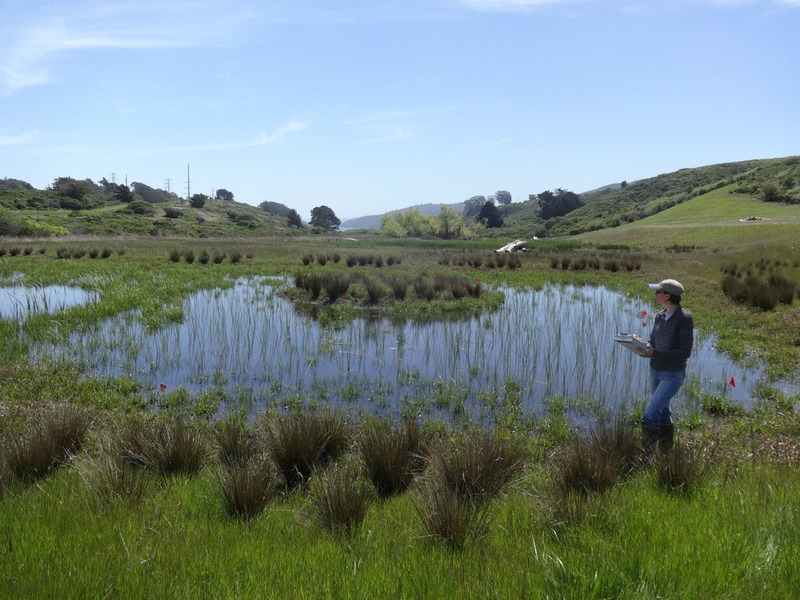 We've successfully restored vernal pools for salamanders and fairy shrimp, ponds and upland habitat for California red-legged frogs, tidal marsh for salt marsh harvest mice, and riparian habitat for yellow-billed cuckoos. Much of our recent work has been in the desert, restoring desert grassland habitat for giant kangaroo rats and San Joaquin kit foxes.